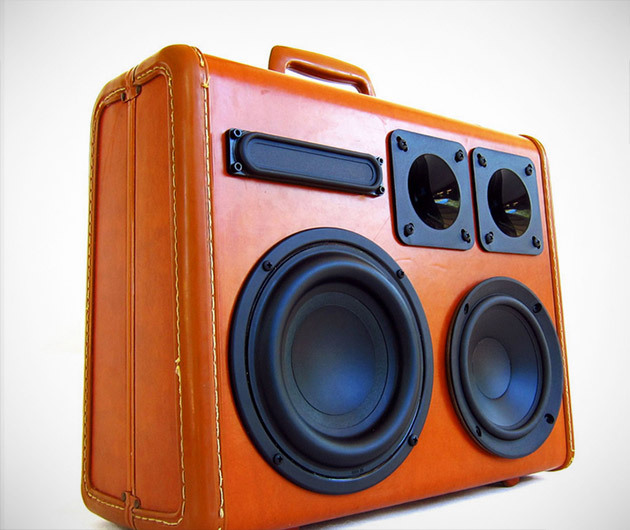 Handmade in California and constructed from old vintage suitcases, the Boomcase offers a stylish portable speaker system that will last for over ten hours on a single charge. They include a battery meter, aux input, volume control and power and USB charging ports and are compatible with all of your personal toys. Sling it on your shoulder and pump out those tunes.